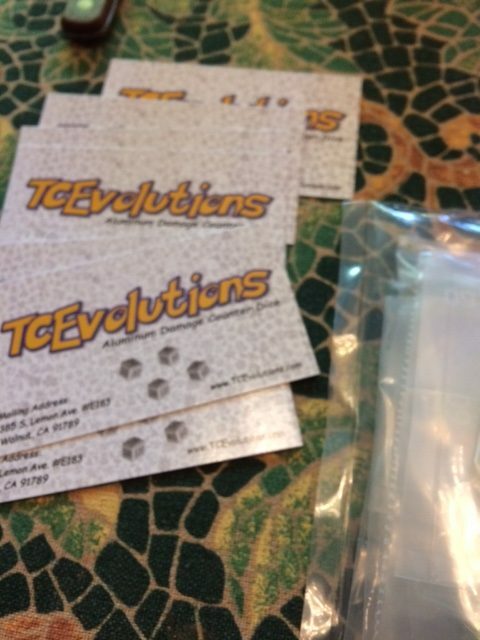 Recently, Steve Wang of TCEvolutions offered to send me his new product for review: a rather cool set of metallic damage counters and GX marker. I offered to do a review of the product; however, in getting to know Steve better, I learned that he had an interesting journey into the game. I think his story is the sort of dismissive attitude countless Pokemon parents take, so I decided to share it with you all, followed of course by my honest product review. Hello everyone, my name is Steve Wang and in case you are scratching your head right now because you don’t recognize the name or can’t remember which tournament that I top or won, don’t worry, you are correct in feeling that way. Like many kids, my oldest son Aaron has been in love with Pokemon for years, and as a not-too atypical parent I was sooo against it for years. I could never understand why my son like them so much (it’s just fancy cardboard paper right?) and why he always needs more cards when he already has hundreds, possibly thousand of cards at home. 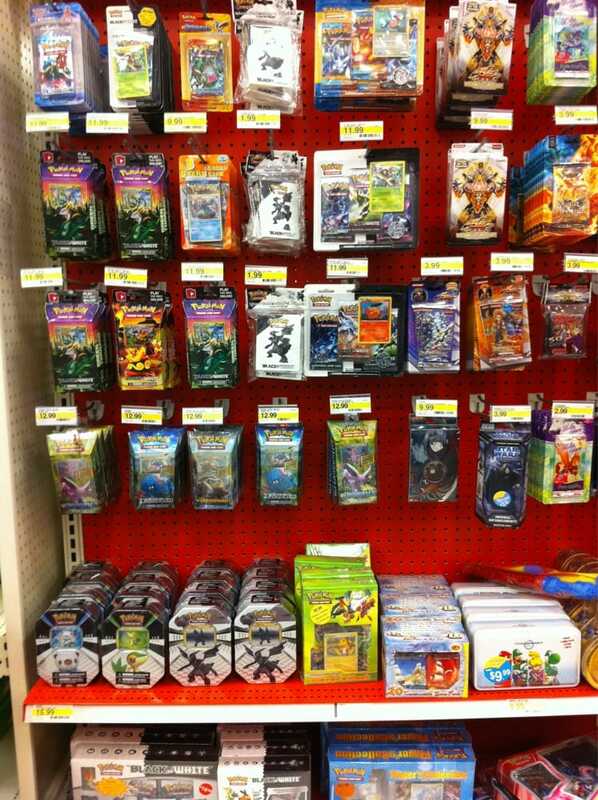 Every time when we are walking around shopping at big box stores like Target, we always spend a lot of time standing in front of the Pokemon cards section, and he almost always will find a tin box, or a theme deck that he “needs.” It’s a struggle as sometimes I cave in and buy it for him and sometimes I just have to put my foot down and say no (if you’re a parent reading this, you know exactly what I’m describing). In order to try and get this under control a bit, I told him that I will only get him more cards if he brings home good grades or if it’s a special occasion (birthday or Christmas). 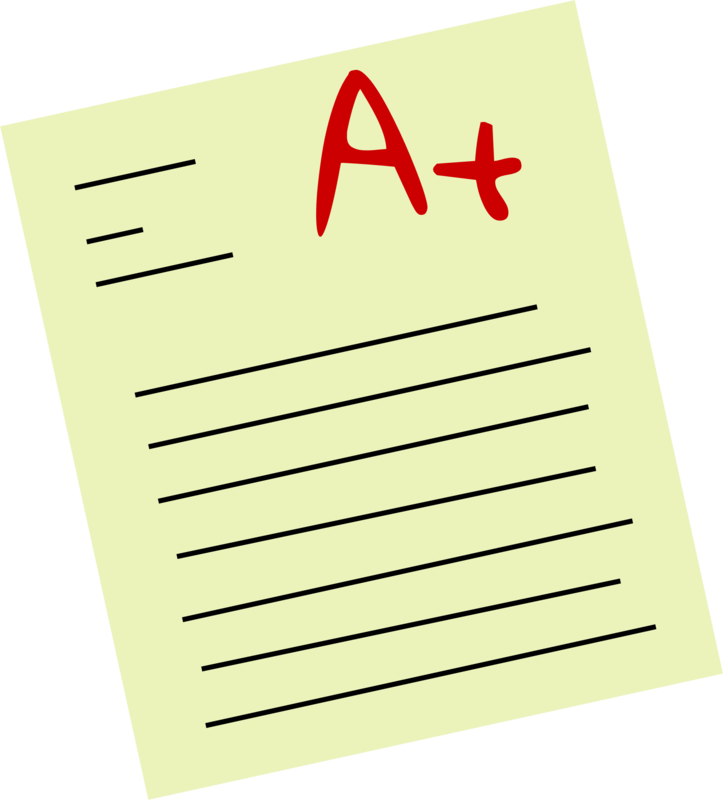 Of course, he turned out to be a great student and continuously brought home good grades, which means the cards just keep piling on. After about two years of collecting cards, my son started asking me to take him to local tournaments, and of course immediately I said, “NO!” I told him that it is bad enough that he collects the cards, but now he is actually going to waste time and go play with these cards??? But one thing about my son Aaron is he is persistent and continued to ask if he can go. He even figured out where’s the closest league by navigating through the Pokemon website. In order to try and deter him, I told him I will print the entire Pokemon TCG rule book for him (I believe over 50 pages) and if he can read all of it, understand it, and memorize the rules then we can go….of course he did it and I’m out of excuses not to take him. Another reason why I said no (and he was not aware of this) was over the years I built a false negative perception of the type of people who are involved in Pokemon TCG. My office is just down the street from a big collectible marketplace warehouse (Frank n Son’s) and for years I watched people walk into this place, some of which were rather sloppy-looking. Over time I formulated a false image in my head of the types of people involved in this industry. This all changed when we showed up for our first tournament at a local card shop. It was on a Wednesday night (a school night, but as luck would have it, they had that Wednesday off for some reason) and since there were no Juniors that night, he was lumped in with the masters, 22 in total. He sat down in front of his first opponent and the gentlemen was well spoken, very nice to my son and I started to second guess my perception of the people involved in Pokemon. As I watched my son play, I was amazed at what he was doing: I watch my 10 year old son play with no help, knowing all the rules (one Energy per turn, one Supporter per turn, etc.) with a deck that he constructed himself by collecting cards meticulously over a long period of time, a few cards here, a few cards there, trading a few friends at school for what he needed (it was Darkrai/Yvetal/Dark Patch) and then proceed to win his first match! As a father, even if you are not into the game, you are still proud of your kid’s achievement. After the match the gentlemen was very nice and even started giving tips to my son on how to do better. There was no hard feelings at all, and I saw my son’s face just light up, smiling, and having a great conversation with the opponent he just beat. Aaron is usually a quiet and reserved kid so to see him just open up like that and socializing easily it was very delightful for me to see. As the night went on and with each opponent he plays, everyone was very helpful and willing to give pointers to help with his game, and my perception for the people involved in this game completely changed. By the time we finished the tournament at 11:00 PM, Aaron finished an amazing 12th out of 22 masters…but what really opened my eyes was it felt like my son found his “world”. He found what he really enjoyed and he looked like a fish in the water playing this game. He was all smiles and couldn’t stop talking about it on the drive home. Some point during the drive home I said to him: “What if instead of fighting you about this card game, dad turn around and support you 100%?” A moment of silence followed as my son probably couldn’t believe what he just heard. In disbelief he asked “are you serious?” and I said yes, I’m going to put my full resource behind you and see just how far you can go, and I told him he’s got a talent in this and he should go for it. I think the kiddo was so excited that night he could hardly sleep. This turn of event was back in October of 2016 and since then we’ve gone to tournaments big and small, driving as far as 7+ hours to San Jose for the regionals, and we enjoyed together many successes, disappointments, and everything in between. Aaron racked up a pretty impressive 215 championship points in his first year. As a father, what I will enjoy the most looking back on this 10 years from now would simply be the time I was able to spend with my son. We seem to always have great conversation when we are on those drives to tournaments and it really present an opportunity for father and son to bond. 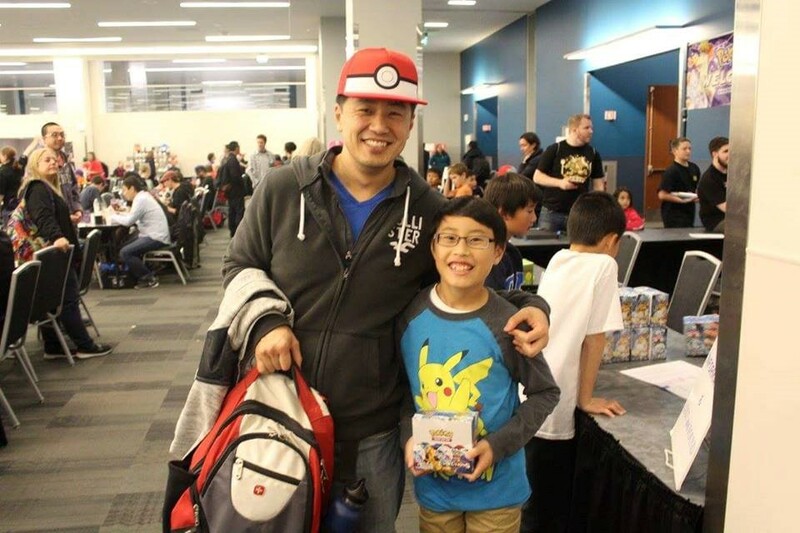 From a parent’s perspective, I am now totally for kids getting involved in Pokemon TCG, and I’m an advocate for it at school when I speak to other parents about it (although I get a lot of odd looks). I proudly say we are involved with Pokemon TCG and we try our best to shine a positive light to the game and the great community people that are involved in it. 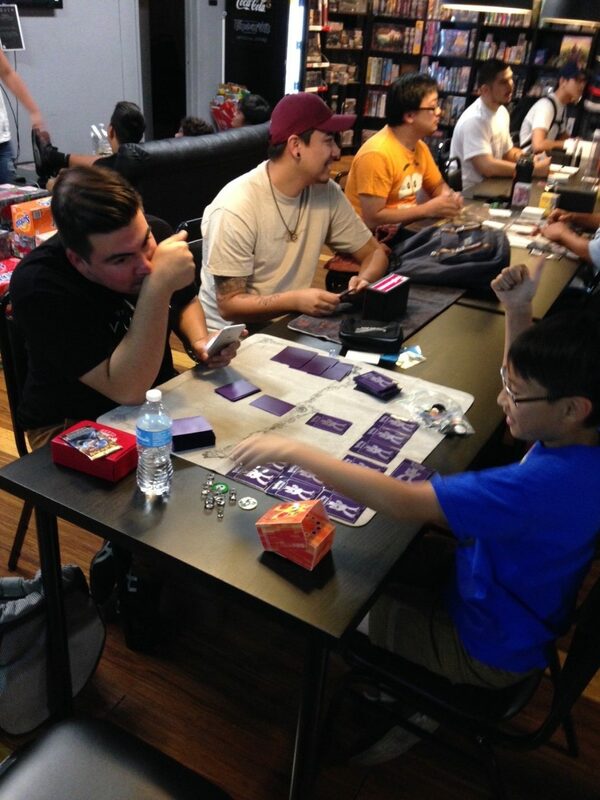 We try to help other kids and parents understand the game (Aaron did a presentation in his class after the San Jose regionals), so they don’t have the wrong perception about the game much like I had. I think parents should take a closer look at the structure of the game before completely writing it off. The game involves an incredible amount of strategy, patience, math, critical reading and thinking…all of which are great for kids to develop. I hope in sharing our experience other parents can have a better and clearer understanding of what this game is all about. I’m not only supporting my son Aaron; I now also actively participate in tournaments and play as well (I’m still a work in progress). I really enjoy meeting new players and the tournament atmosphere. Pokemon TCG has now become something our whole family enjoys together. As a personal lesson learned: Sometimes it is okay to be a kid with your kid, be on the journey with them, and have fun along the way. You never know just what amazing new experience and opportunity awaits that you probably would not have discovered on your own. Unsurprisingly, their website is TCEvolutions.com ! 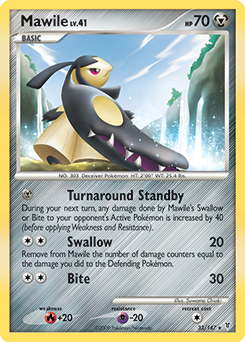 Steve and Aaron also conceptualized and created a cool new product for Pokemon TCG: metallic damage counters and GX markers. In fact, we started talking in part because I was impressed with their product while looking at a friend’s Twitter page! I received a custom mix-and-match kit featuring every type of core product in Steve’s arsenal. The kit I received included 14 numbered damage counters: eight ranging from 10-60, four ranging from 70-120, and two with large denominations going up to 230 and 240 (odds and evens). In total you have 1,430 damage in this single lot and I feel like the way that damage is divided offers a ton of versatility in damage placement for as few markers as possible. Contrast that to the normal player who carries around a bag full of dice, and you can see why a product like this makes sense. As far as the actual packaging goes, Steve puts them in some heavy-duty plastic wrap to ensure they get to you in a condition close to how they were originally produced. The visual highlight of the whole package is the gorgeous GX marker. While it’s not too visually dissimilar from the official markers, the choice to keep its design minimalist complements the metallic nature of the marker pretty well. There are also just enough color options where it’s feasible to show off your personality some. Because the majority of my biggest accomplishments in Pokemon TCG involve green Pokemon (Ludicolo, Jumpluff, Accelgor, Vileplume, Decidueye), it was an easy choice to ask for green! Last of all, the product I received came with a small black pouch. I think the pouch is a great start and a nice throw-in, although possibly too small once you start to add additional supplies like your coin, counters, and so on. This isn’t a big deal though, because I mostly consider it a throw-in. 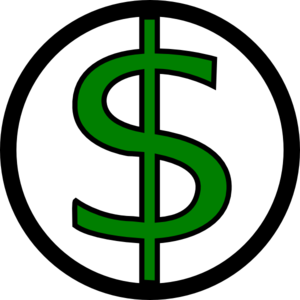 For the general competitive playerbase, the price tag is workable. 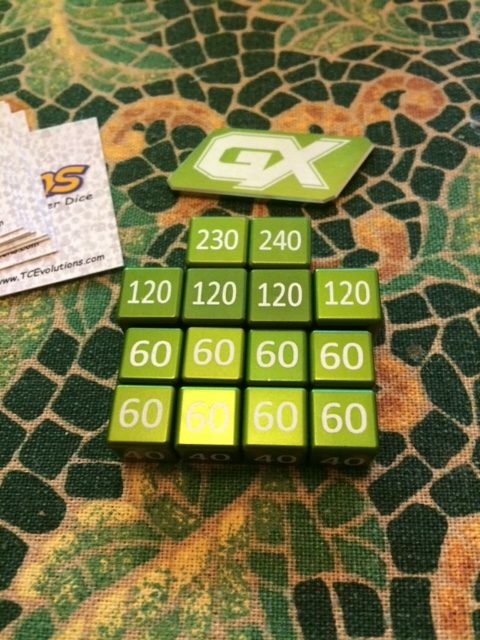 As of writing and without including shipping, it’s about $7 for a GX marker, various prices depending on the number of dice you buy, and then $22 for a six-dice/GX Marker combination. Unlike the custom kit I received, the $22 kit may not include enough dice, especially if you’re an Expanded player using Mega Rayquaza (Sky Field) or Wailord EX (250 HP). I would say, though, that these damage counters should work fine in about 85+% of board states in Standard. 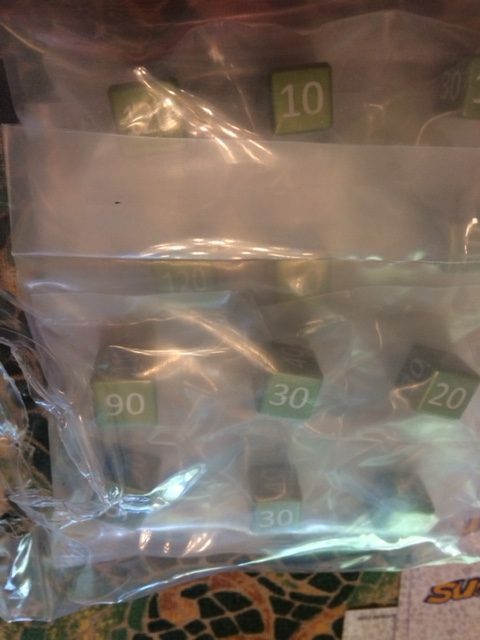 I’m not sure if other competitive players who received TCEvolutions dice for advertising purposes have received just as many as mine, but perhaps Steve might consider selling a value pack identical to this one. As for the general philosophy of whether to purchase a product like this, it depends. Most of us just use dice and other things we find laying around, but for peace of mind it’s really nice not to have to shuffle around your bag to find the right stuff. It’s also a no-brainer purchase for someone already going full-foil, max rarity on their decks – it’s probably the classiest-looking damage counter product I’ve seen, and fits the aesthetic of a money deck incredibly well. In conclusion, the TCEvolutions Dice/GX Marker combo is incredibly cool, and I’m excited to start using it. If you get the same 14 damage dice and marker I did, you’ll also be able to cover nearly any foreseeable board state. While I have some small criticisms about the pouch and some ideas on how TCEvolutions can enhance the product, Steve and Aaron are definitely using their sophisticated understanding of the player base to give us some really cool stuff. P.S. See you at Worlds, guys!